Does financial management seem overwhelming? Do you or your team revert back to manual processes because your systems just don’t operate the way you need them to? Before you can master fund accounting, you’ve got to understand the fundamentals. That means finding the right process and tools for success. Whether you're a CFO or on the financial team of a nonprofit, this ebook will help you better understand your financial management process and the tools you need to succeed. 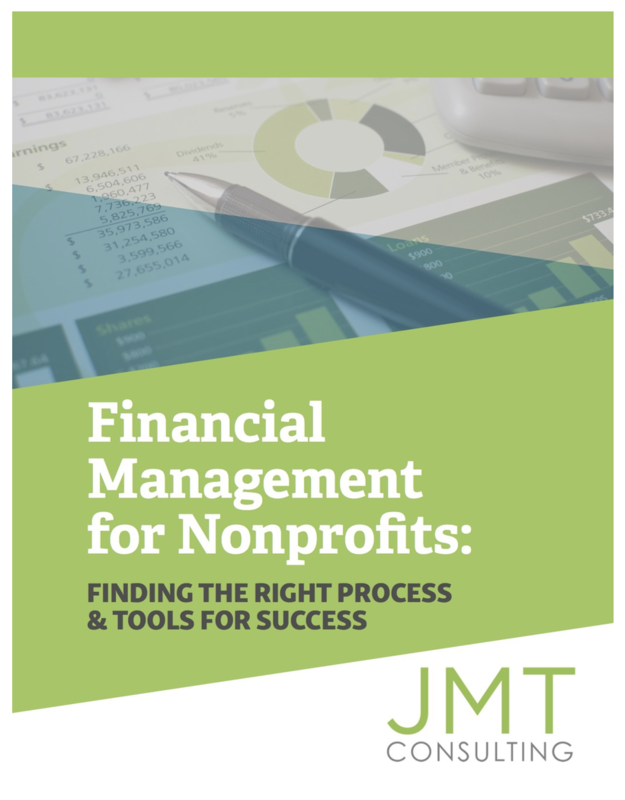 This ebook co-authored by JMT Consulting’s CEO and COO, gives you access to decades of experience helping nonprofits reach financial confidence and success. Planning a budget that moves you forward not holds you back. Accepting accountability from your fiduciary board. Getting the right tools for fund accounting success. Making the changes you need to better your organization.